Q Hi, my hair is nearly to my waist and is so thick , its wavy on top and quite curly underneath, it gets really frizzy if I brush it a lot. How do I make it flatten without straightening it? A You mentioned that you didn’t want to straighten but flatten, it is possible to help reduce some of your frizz, volume and in time (by religiously using the correct products) you will help to give your hair the appearance of it looking a little flatter, I have also given you advice on what products to use if on the odd occasion you do decide to use a hairdryer to help flatten your hair. 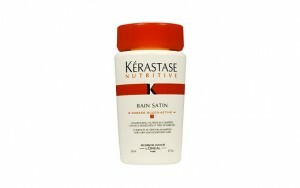 I would use a shampoo for thick hair, like Kerastase Nutritive Bain Satin 3 cleansing shampoo it’s for very dry and damaged hair. It smooths the hair fiber intensely nourishes and will help to relieve some of your frizzy hair, you will find this shampoo quite heavy (which is a good thing) as it will help to weigh your hair down. 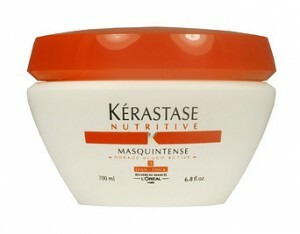 As well as using a strong conditioner once a week, (which I’m sure you have plenty of at home) I would recommend using a deep intensive cream nourishing treatment, for example Kerastase by L’Oreal they have a treatment called Nutritive Masquintense Epais, this is for very dry and thick hair. It will intensely nourish and revitalise your hair, use this product once a week and leave it on for 10 minutes, you will not find a big improvement after the first application, you will however notice a change when your about half way through the product, reason being your hair will only absorb a certain amount of protein and moisture from the ingredients, then it rejects the rest, (that is why you do not need to leave it on all night which a lot of people seem to do). 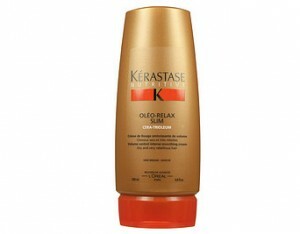 If you would like your hair a little straighter but not blow-dried I recommend a product called Oléo-Relax Slim Cream, this gives 24 hr volume reduction it also nourishes and smoothes the hair fibres. It contains Cera-Trioluum which is a unique trio of oils (apricot,camelina,pracaxi) this is what helps slim down the hair fibre. Use up to the size of two 50p pieces, place the product first in the mid length then the ends, then place a smaller amount on your roots, although your hair is probably a little frizzy on your root area if you use to much it will quickly become greasy, with the product in your hair now flatten it with your brush and leave to dry naturally, when your hair is dry do not brush it again as this may make it more frizzy. If on the odd occasion you do decide to blow-dry, place the product in your hair as above, start to blow-dry when it’s about 60% dry, this will help stop your hair from being over pulled from using your large round brush (which in time could possibly damage your hair) and will also be easier on your arms, when you have finished place a little more of the Oléo-Relax Slim Cream on your hair, no more than size of a 10p piece, this will help the blow-dry to last all day. If one day you decide to wear your hair more natural (want to try something different) then I recommend a product called Spiral Splendour by L’Oreal techni.art, it’s made for dry, curly hair, it moisturizes and defines dry curls leaving them soft, shiny and frizz free. After you have washed your hair gently towel dry then use about the size of two 50p pieces and gently scrunch it in, if you need to add more that’s fine, always better to add a little at a time or it may become greasy if you use too much, do not scrunch in with a hairdryer as this will make it more frizzy. You will probably find that the day after you have washed your hair it will be slightly more controllable, this is because over night your hair has built up a little more natural oils which can sometimes flatten your unruly hair. It would also be helpful if maybe twice a year you had a little more cut than you normally would, this will help you in gaining better quality hair. 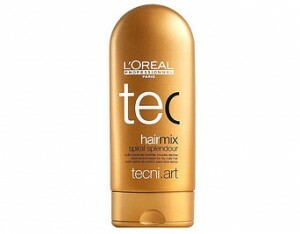 Please note, there are many different types of products that will be good to use, I have recommended L’Oreal products because I have worked with them in my salon for many years and has proven to be an excellent brand.